Contact ramona@motoart.com for product details and available discounts. 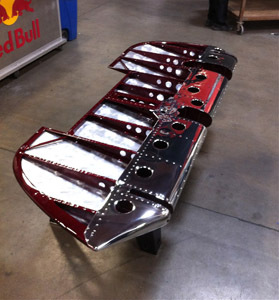 MotoArt SAVES aviation history by recycling aircraft parts which they turn into functional furniture for offices, homes and hangars. “The fascination of flight is in almost all of us”- Dave Hall & Donovan Fell III-owners, Motoart. Located in El Segundo, CA with clients all over the world, their functional sculptures create an eclectic environment in any space and stand in tribute to the great art of aviation. 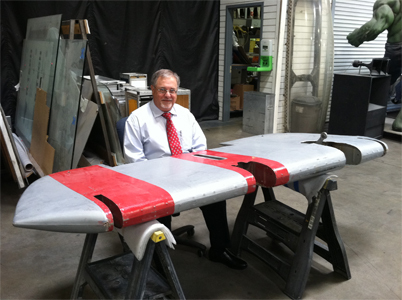 Our clients include Microsoft, AOL, Go Daddy, Red Bull, Northrop, Boeing and other major corporations, along with aviation enthusiast and those interested in collectible functional art for their offices, homes or hangars. The following video piece captures part of the history, heart and soul of Motoart. Motoart’s product line is highly unique with new products being introduced monthly. Aside from being a MotoArt sales representative for 6 years, I have a personal connection with MotoArt products. My brother retired as a Lieutenant Colonel from the Air Force. 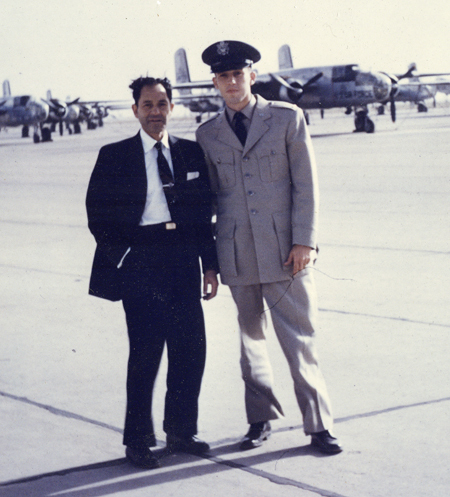 As a pilot, he flew many of the aircraft MotoArt recycles into furniture from KC-135 Air Tankers to the B-25 Bomber. My father flew Stinsons, Stearmans, and owned a Buhl Pup. He owned an aircraft and gave primary training to some of the WASP during WWII as part of the Civilian Pilot Training Program (or CPTP), a goverrnment program designed to increase the number of civilian pilots and help with military preparedness. My father had lots of stories to tell about the war era. He and his buddy even bought a T-6 after the war and they were very excited until they figured out they couldn’t afford the fuel to fly it! It was my family’s love of flight, and the aviation bedtime stories that I begged my father to repeat dozens of times, which sparked my passion for the dream of being a pilot…a dream that was brought to fruition when I received my pilots license. So what exactly does that mean? Most people are not aware that after 911, the government closed the doors to allowing civilians to purchase military aircraft parts. Since then, all of our decommissioned aircraft have been chopped up into 5"x5” pieces and sold for the scrap metal value. In other words, there is not an endless supply and our inventory is becoming more scarce and inherently, more valuable to its owners. Personally, I feel an overwhelming sense of awe and pride about the history which each and every piece holds. When restored to functional, historical pieces of art, and placed into the custody of new owners, each piece will be cherished for its rich heritage and the service it provided to our country. Finding new homes for our pieces inspires me because each new owner becomes a protector and curator with the opportunity to share exciting stories of our great country’s past. MotoArt, is above all, a business that delivers to those who love aviation and its remarkable history, their own piece of that legacy. At MotoArt, we pride ourselves on being part of the green movement of companies who use recycled materials. I look forward to the opportunity of providing you with more information or pricing on our products. Please contact me at: Ramona@motoart.com.